Joining Dermatology Specialists of Georgia has allowed me to focus all my energy and passion on what I enjoy most, which is taking care of my patients! I hold strong to my belief, that despite the ever-changing landscape of medicine, everyone I treat is unique and special. That’s why I approach each patient in the same way, the way I would treat and care for my own family. 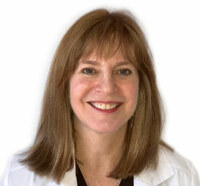 I have a wide range of dermatologic interests, and I am committed to channeling those interests into how I address the needs and wants of my patients. I also have an uncanny eye for detail that I know benefits all of my patients when it comes to making a difference in helping them with their medical, surgical and cosmetic concerns.